As the seasons change, so does the food I tend to prefer. piping hot bowls of myriad of dals are my absolute favorite. I already posted this and this here on the blog. Trust me I have more to come just like today's recipe - Dhaba Style Urad Dal. There is always something nostalgic, something very earthy about the food that we get on the roadside dhabas on the highways. The subzis are mostly burn-your-mouth spicy served with rotis + onions & lemons on the side to cool things down. I have made my dal a little milder than expected. Taste and add more/less dhaba tadka mix as per your taste buds. If you have the mix ready, this dal is so easy to make. I would suggest to try some for a bowl of comfort and happiness. 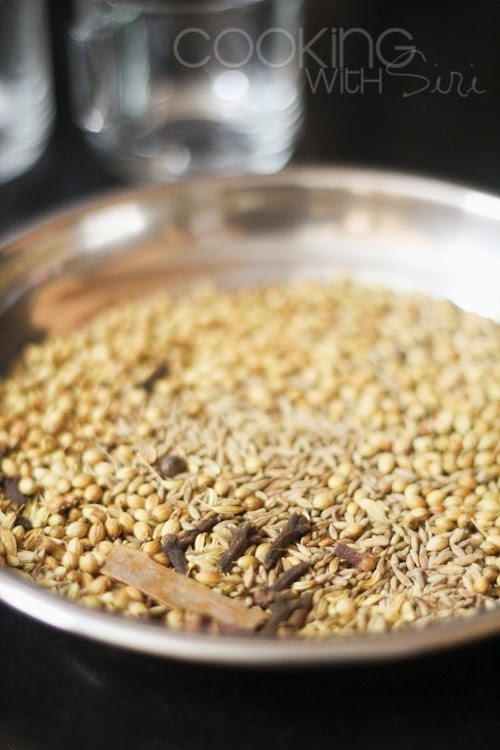 To make the dhaba tadka mix: Dry roast the whole spices (cumin, coriander seeds, saunf, cloves and cinnamon) separately on a tawa. Add the turmeric powder, chilli, javitri powder (if using) and roast some more. 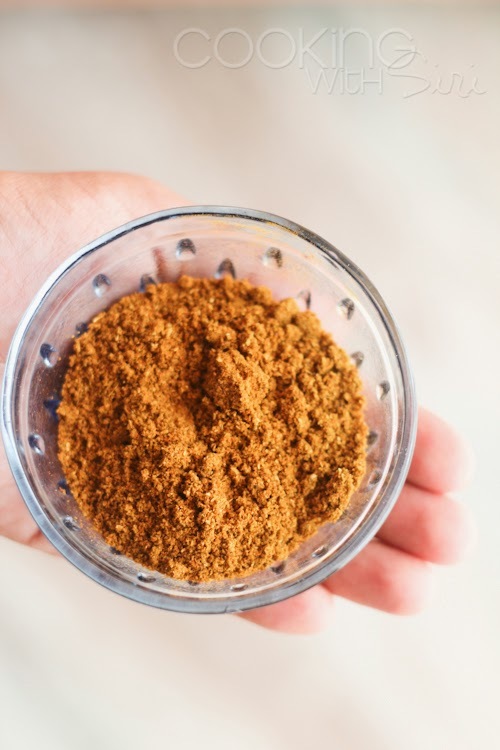 Cool a bit and make a fine powder of the spices. Store in an air tight container. 1. Pressure cook the dal with salt and turmeric up to 2 to 3 whistles (until mush). Using the back of a ladle, mash to a creamy consistency. 2. In a pan, take a tablespoon of butter, fry the cumin seeds with ginger-garlic paste. Then add the onions till they turn translucent. Add chopped tomatoes, salt and green chillies. 3. 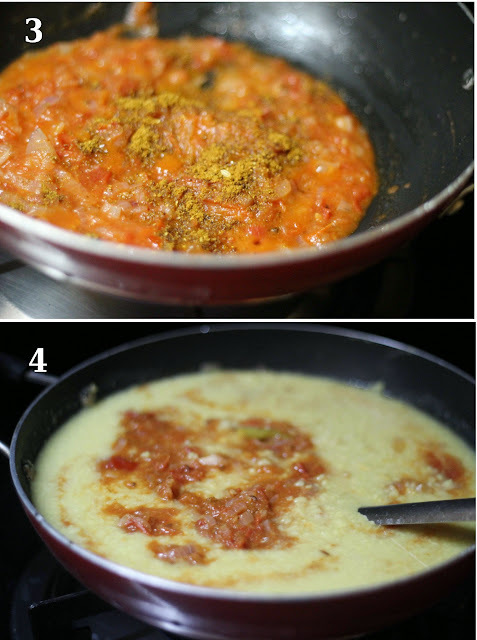 Add the tomato puree and the dhaba tadka mix. Cook until oil lightly separates from the edges. 4. Pour the cooked dal and mix well. Cover and cook on low flame for 10 to 15 minutes. 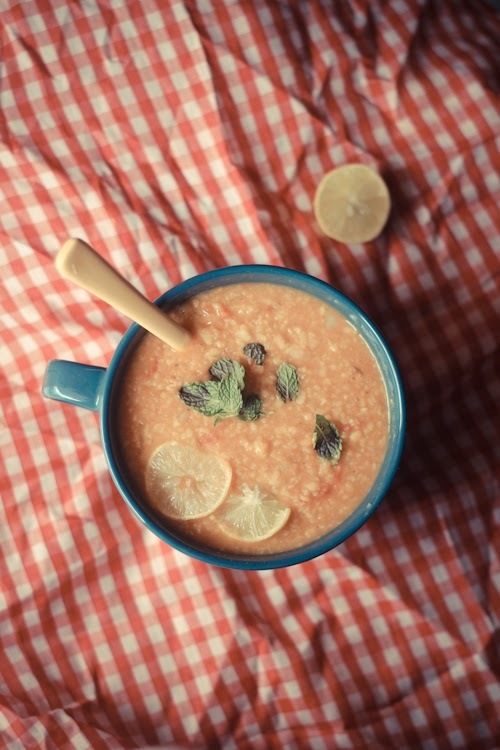 Turn off heat and add lemon juice and coriander leaves. Tastes delicious with both rice and roti. 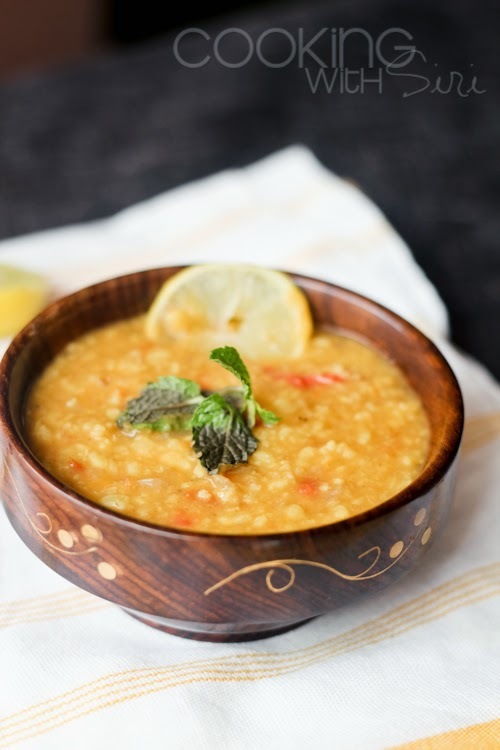 Sending this simple, flavorful dal to dear Nupur who is guest hosting MLLA's 60th edition this month, originally conceptualized by Susan and right now being managed by Lisa. This is Recipe 37 added to my The 100 Recipe Challenge for Year 2013. Check out the rest of the recipes too. looks awesome, going to try soon. 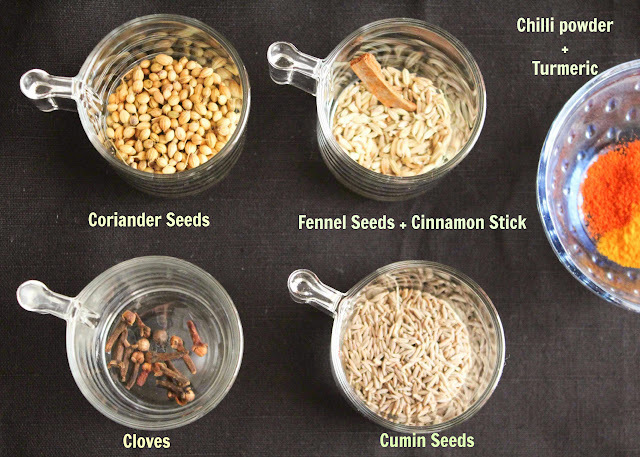 I like the idea of making a separate spice mix Siri, lovely recipe ! Thanks for the gorgeous entry, Siri! I tend to use urad dal for idli/dosa and little else but this looks so good. And the spice mix sounds divine. This is not Urad dal. 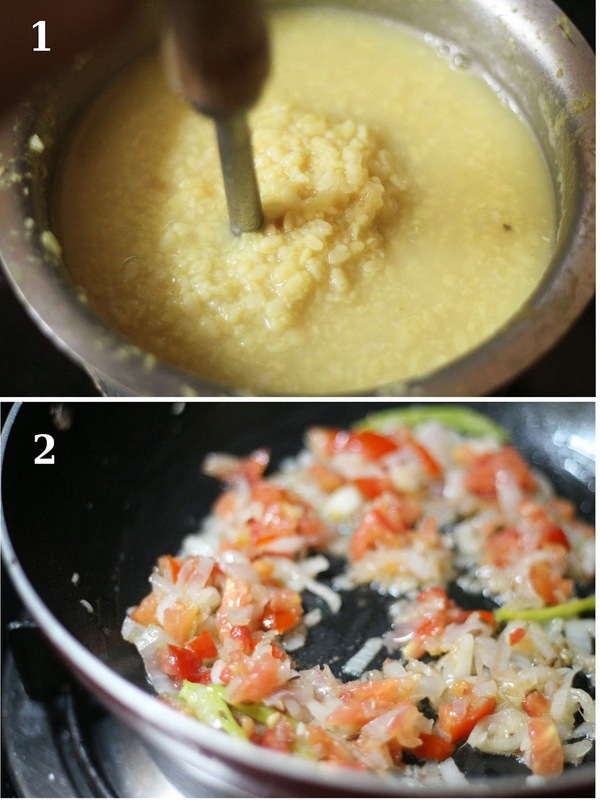 You have used Moong dal.